Wollongong Life Guards Peter Hopkins and Ian Logue prepare for the beginning of another surf season at Corrimal Beach today. PHOTO: Warren & Diana Ackary. LIFEGUARD amenities at Coledale, Sandon Point and Towradgi have been upgraded as beach goers prepare for the start of the 2013-2014 swim season this Saturday. Wollongong City Council lifeguards will be patrolling the 17 beaches between Stanwell Park and Windang from Monday to Saturday, with volunteer Surf Lifesavers patrolling on Sundays and public holidays. Patrols will continue until the end of the Easter school holidays in 2014. Council’s pools will also open for the season on September 21. Council’s Recreational Services Manager, Mark Bond, said that lifeguards have been preparing for another busy season in the lead-up to this weekend’s launch. “Last season we were fortunate not to have any fatalities on Wollongong’s beaches, and we’d like to repeat that in 2013-2014. Mr Bond said Council had been working hard both on and off-season to improve people’s understanding of beach safety. “We’ve taken our Surf Education program to 7,300 students in the local area, to teach them how to enjoy our beaches safely. Our staff have also given talks to high school students in the western suburbs of Sydney, as lots of people from that area visit our beaches in the warmer months,’’ Mr Bond said. 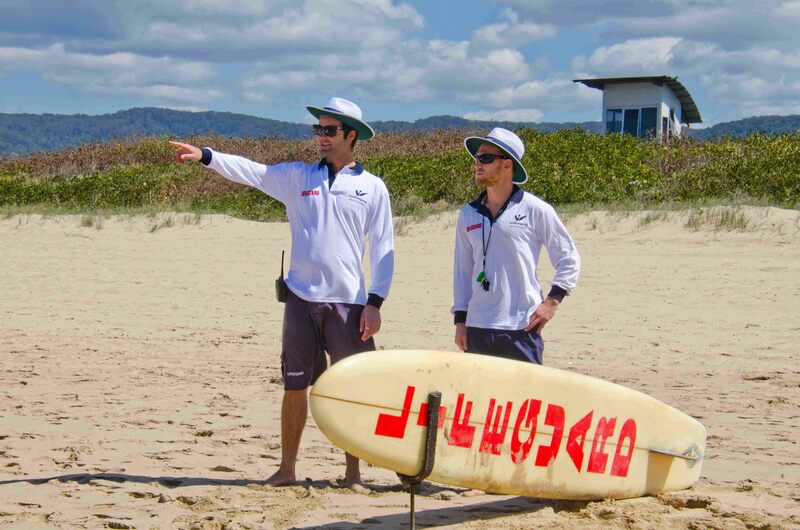 Lifeguard amenities at Coledale, Sandon Point and Towradgi have recently been upgraded, and Council is working to improve patrol sightlines through its Dune Management program. A new emergency response beacon will be placed at the southern end of City Beach so in an emergency situation people can get a direct link to Lifeguards during patrol hours. This new feature is similar to the beacon which was introduced near Puckey’s Beach last year. Council has also produced a series of four short videos to show people the rules of the beach, and focus on three of our most dangerous beaches – Puckey’s, Coniston and Stanwell Park. More information and the video can be found at Council’s website.